Check out Coronado Cultural Arts Commission’s Spotlight feature on Matt! 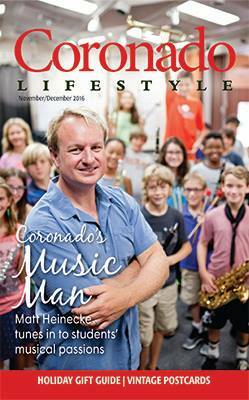 Matt was the featured story for the November/December 2016 issue of Coronado Lifestyle Magazine! Click on the cover to read! Matt was also featured in the Coronado Eagle and Journal in November 2015! “Matt is an incredibly skilled guitarist and musician. He met with us personally and helped tailor our musical selections to the feeling we wanted in our ceremony. Matt was generous with his time and talent. He listened to our ideas and made thoughtful suggestions. He even developed and arranged instrumentals to match our theme and timeline.